It's tough to be a white wine in Tuscany. Red wines are king in this part of northern Italy, and no wonder, as Tuscany is home to the world's best Sangiovese. Unfortunately, the region's main white grape is nearly flavorless Trebbiano, which is why you don't see any Tuscan white wines on wine lists that are packed with the region's best reds, Chianti Classico and Brunello di Montalcino. 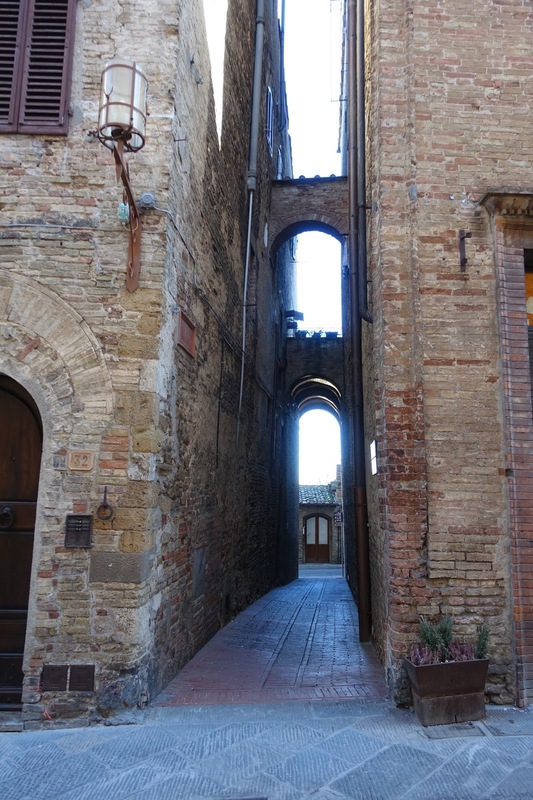 One small pocket of Tuscany specializes in white wine: the beautiful walled medieval town of San Gimignano and its environs, where they grow Vernaccia. Vernaccia was mentioned as a quality grape as far back as the year 1276, and the San Gimignano region was awarded Italy's first DOC, in 1966. Nobody doubts that Vernaccia di San Gimignano is the best white wine from Tuscany. But it does not achieve the greatness of the best Tuscan reds. Fortunately, it doesn't achieve the same prices either. And greatness, in a white wine, is a mixed blessing. I don't know about you, but I can't drink two full glasses of some top-rated white wines from certain wine critics. What I'm looking for in a white wine is a tasty wine that goes well with dinner. I get the wine critics' dilemma, though, because if you say a wine's not awesome, who cares what you write about it? So let's just say that the best 9 Vernaccias di San Gimignano are awesome enough. I picked them out of a blind tasting of all the region's current-release bottlings. Unfortunately they were so current when I tasted them that only one is in the US yet. And I had a bigger problem for blogging: 5 of the 9 wines I liked don't appear to be in the US at all. What to do? Here are the 9, no, sorry, 4, best current releases of Vernaccia di San Gimignano. Giovanni Panizzi was the best-regarded producer in the region, but he died in 2010. And the winery is making 50% more wine than in 2010, which is a scary recipe. Fortunately the son of his former business partner has carried on with Panizzi's strategies of extended skin contact and fermentation in large wooden vats. This wine is pungent on the nose, with lots of green mango and a little ripe mango on the palate. It's intense and long and the best wine I had from the region this year. I also loved the 2015 version which you can order here. 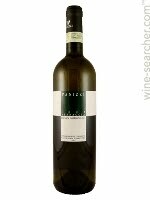 A single-vineyard wine of which 50% is fermented in barriques, but fortunately it avoids the horrible oakiness of most Vernaccia Riservas. Instead, it offers nice mango fruit with quite a bit of freshness. Most of this wine stays in Europe, and while I like it, I can't honestly say it's worth the price premium over the entry-level wine. But if you want to check it out you can order the 2014 here. This is one of the few producers to use oak as an accent instead of the primary flavor. With ripe mango flavor and good balance, this is a very solid wine that reminds me of a good white Bordeaux. You can order the 2015 here. Dense, flavorful wine with nice mango fruit and good balance. This vintage is already here and you can order it! recommended the best ones on Wine Searcher. Click here to read that story. Nothing about what a vernaccia should taste like. The Gattavecchi Vernaccia I tried recently went well with fish. I detected citrus notes - more like orange than lemon or lime. Tommaso: I'm not comfortable saying what a Vernaccia should taste like. I did get citrus notes in some of the ones I liked, but I also tasted a lot of oaky ones that I didn't like. But I'm not the owner of those wineries and maybe those wines sell. Post the other five! Some of us travel and bring back wine.